I like the way this one turned out. It reminds me of when we rented condos at Fernie and the moon light falls on fresh mountain snow at night. It was pure abstract expression. 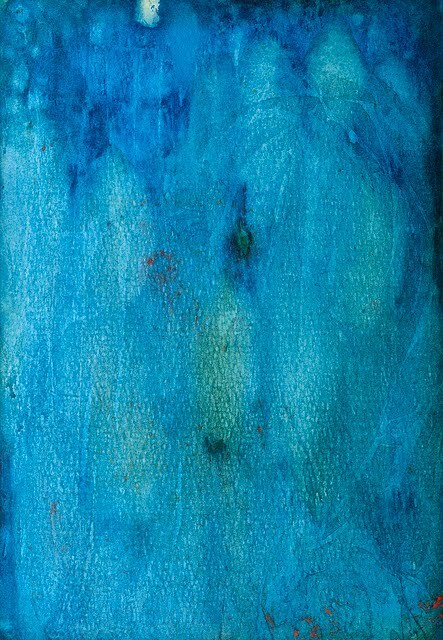 I just painted the paper blue and then wet my brush and tried to clear some areas of pigment. There are multiple layers of blue and yellow revealed like a canyon carved by a prairie river.